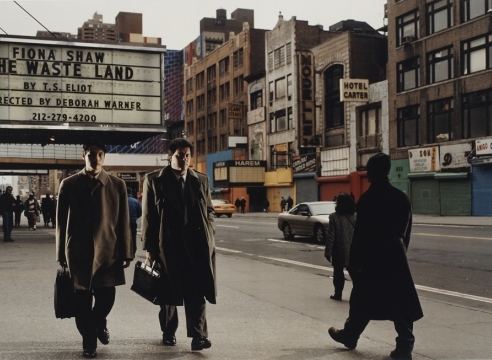 Dad's Briefcase, from the series Family Business, 2000, 30 x 40 inch chromogenic color print. Mitch Epstein’s photographs offer a subtle and contemplative approach to a range of critical societal issues within the United States, continuously questioning what it means to be American. 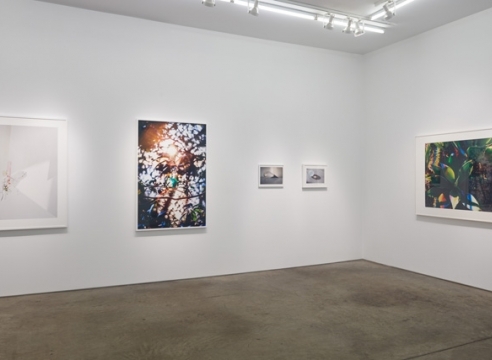 From his early pioneering color photographs of American life in the seventies and eighties, to his most recent series focusing on the confluence of nature and human society in New York, Epstein has consistently created formally complex images that result from a highly introspective approach to photography. In 2003, Epstein began his series American Power, which examines how energy is produced and consumed in the United States. These large-scale color photographs of production sites and their surroundings urge viewers to consider man’s conquest of nature and the power of government, corporations and mass consumption within America. With the black-and-white series New York Arbor (2011-2012) and Rocks and Clouds (2014-2015), Epstein explores similar concerns, narrowing his focus to the five boroughs of New York City. By foregrounding rocks, clouds and trees, Epstein inverts people’s usual view of the city, so that human existence becomes secondary to nature. Primarily working with an 8x10 field camera, Epstein celebrates slow photography in a digital age. Born in 1952 in Holyoke, Massachusetts, Epstein lives and works in New York City. His work has been exhibited widely, including at The Noguchi Museum, New York; Smithsonian Museum of American Art, Washington, D.C.; Museum of Modern Art/PS1, New York; Saatchi Gallery, London; Fondation Henri Cartier Bresson, Paris; and Foam fotografiemuseum, Amsterdam, among others. His work has also been collected by major museums, including Art Institute of Chicago; Museum of Modern Art, New York; Metropolitan Museum, New York; Whitney Museum of American Art, New York; The San Francisco Museum of Modern Art; J Paul Getty Museum, Los Angeles; Tate Modern, London; and The Victoria and Albert Museum, London. He has worked as a director, cinematographer, and production designer on several films, including Dad, Salaam Bombay!, and Mississippi Masala. In 2015, Epstein performed American Power, a theatrical rendition of his photographic series, with cellist Erik Friedlander at the Victoria and Albert Museum, London. The Walker Art Center in Minneapolis commissioned and premiered the work in 2013. Epstein has won numerous awards including the Prix Pictet Photography Prize (2010); the Berlin Prize in Arts and Letters (2008); and a Guggenheim Fellowship (2003). His twelve books include the forthcoming Rocks and Clouds; New York Arbor (2013); Berlin (2011); American Power (2009); Mitch Epstein: Work (2006); Recreation: American Photographs 1973-1988 (2005); and Family Business (2003), which won the 2004 Kraszna-Krausz Photography Book Award.